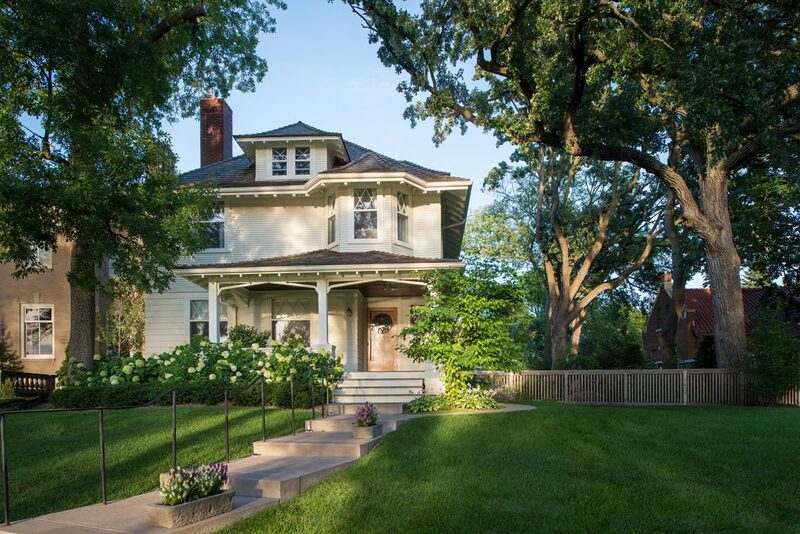 Designed by prominent architect Adam Lansing Dorr and built in 1904, this home is a designated Minneapolis historic landmark. 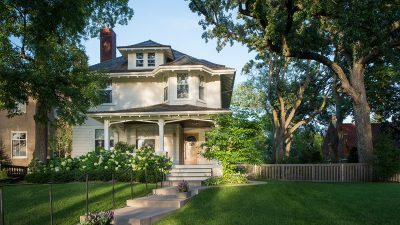 Much-needed work on the exterior focused on saving historic elements, and the front porch was extensively renovated and brought back to its original form. 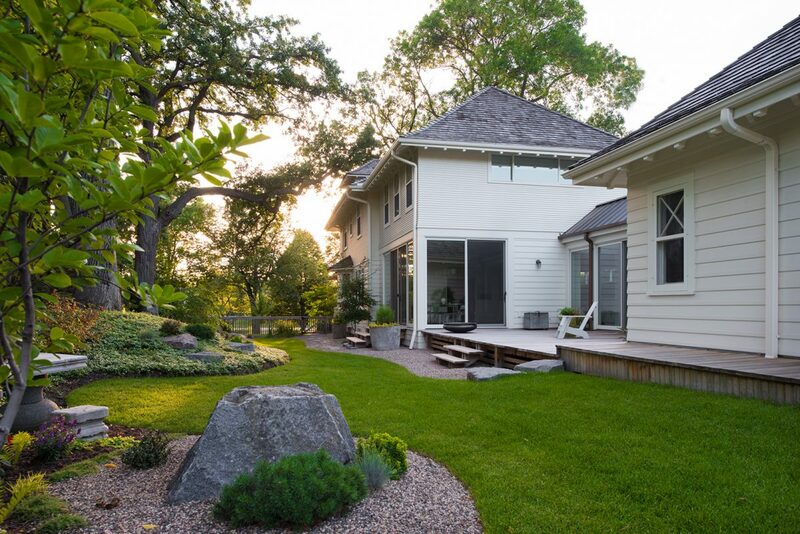 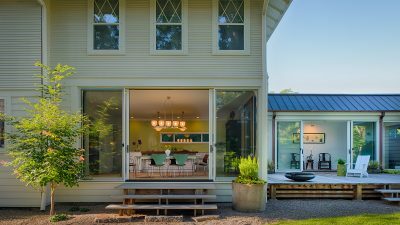 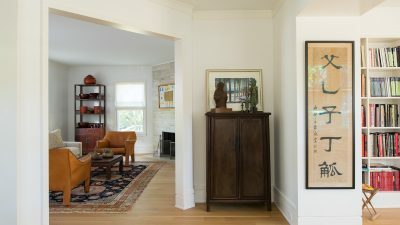 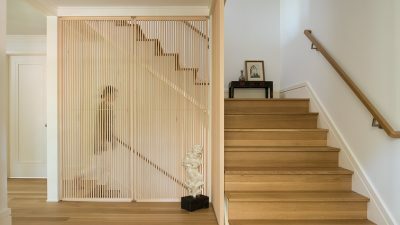 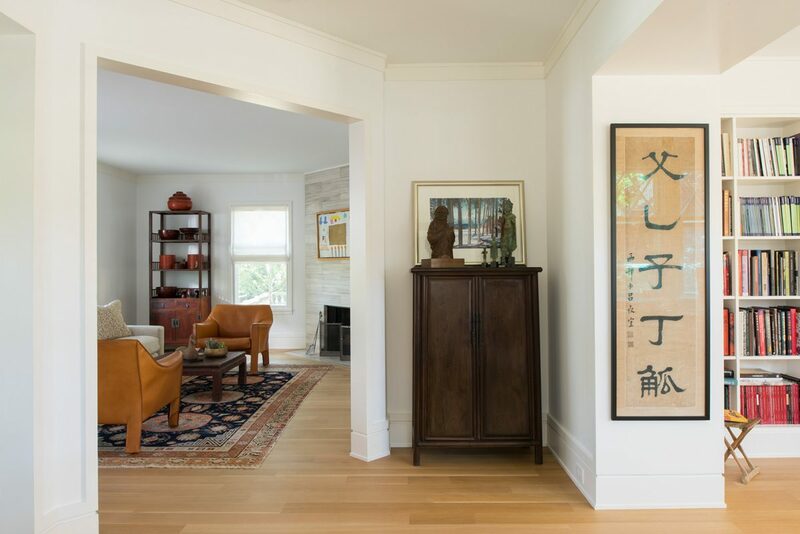 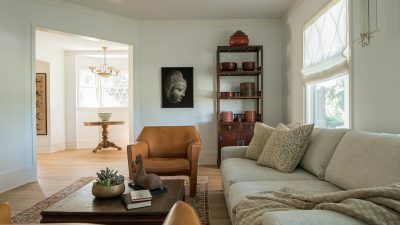 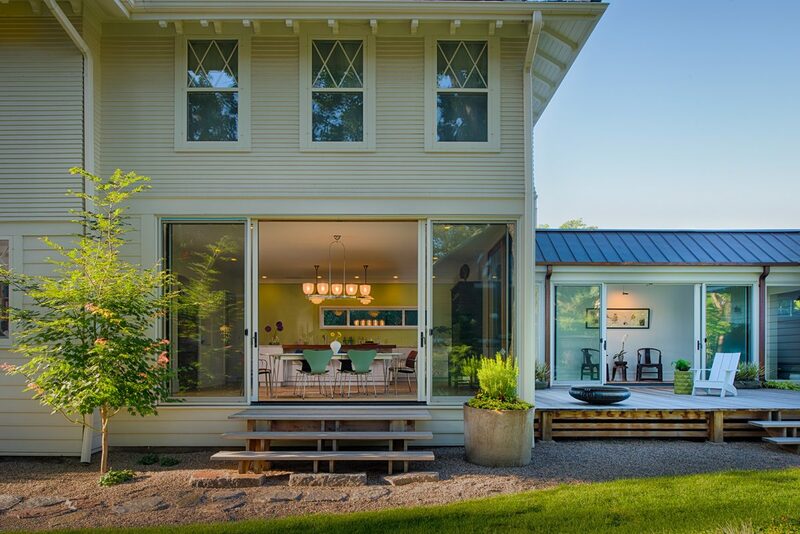 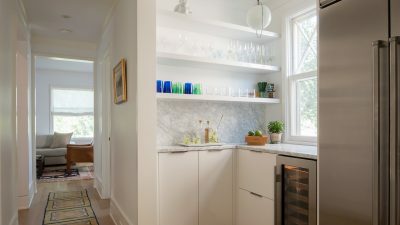 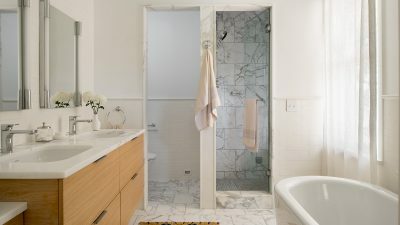 The rear addition’s two stories, gallery link, and mud room/garage step back from the original home, successfully preserving the house’s character-defining features from the street. 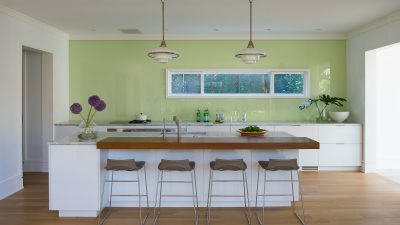 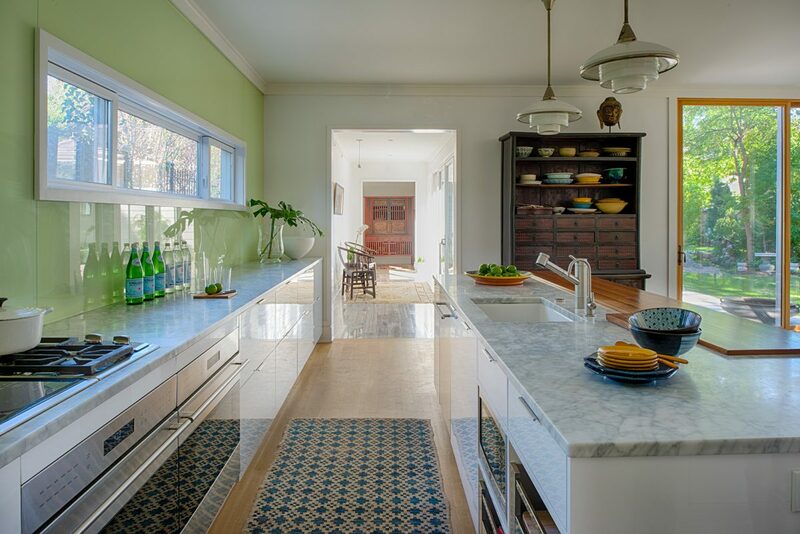 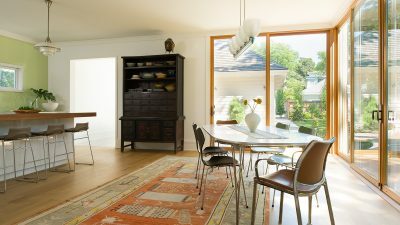 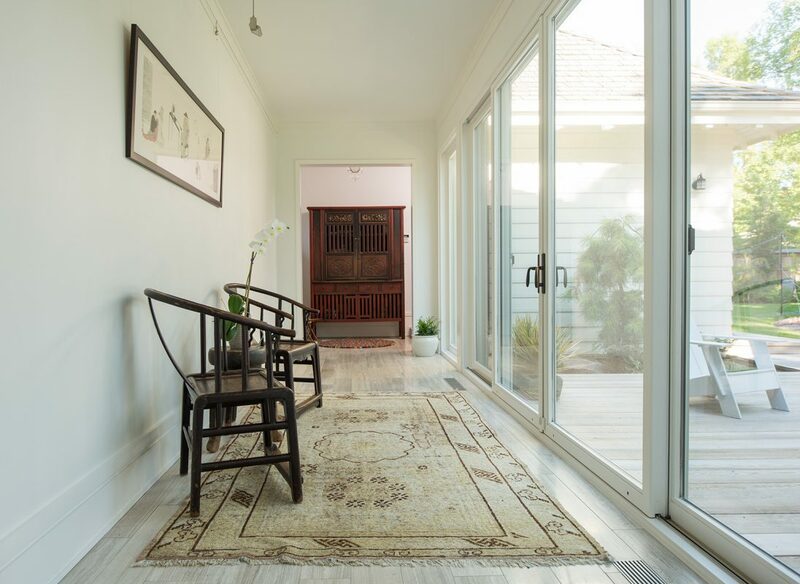 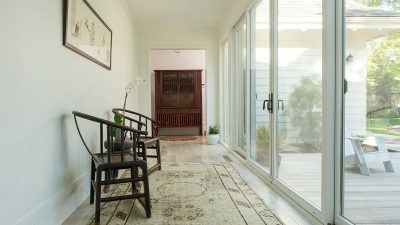 History sits comfortably alongside the modern expansive sliding glass doors at the kitchen and gallery. 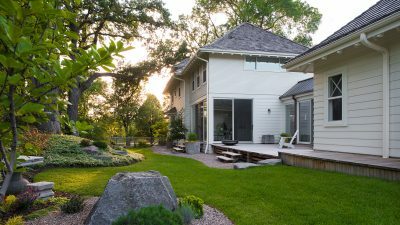 The gallery link provides the present day amenity of an attached garage yet keeps a traditional scale between main house and garage. 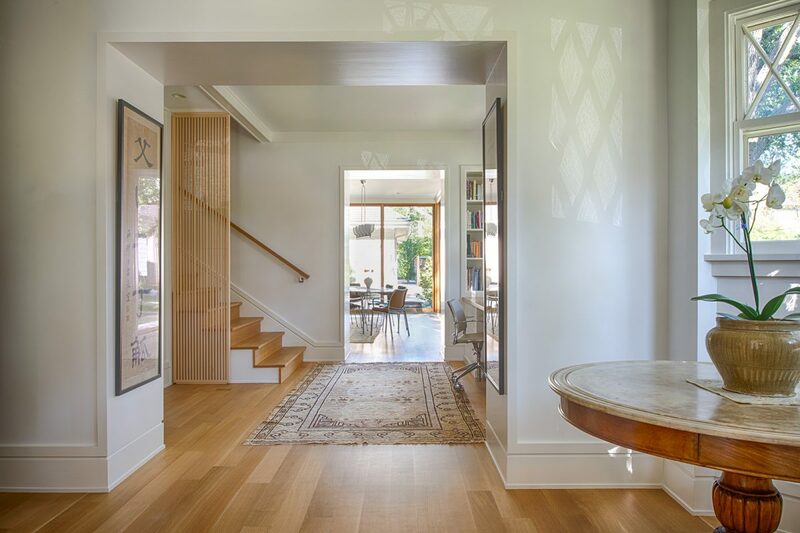 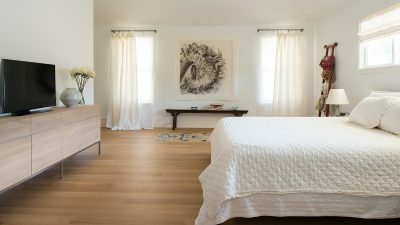 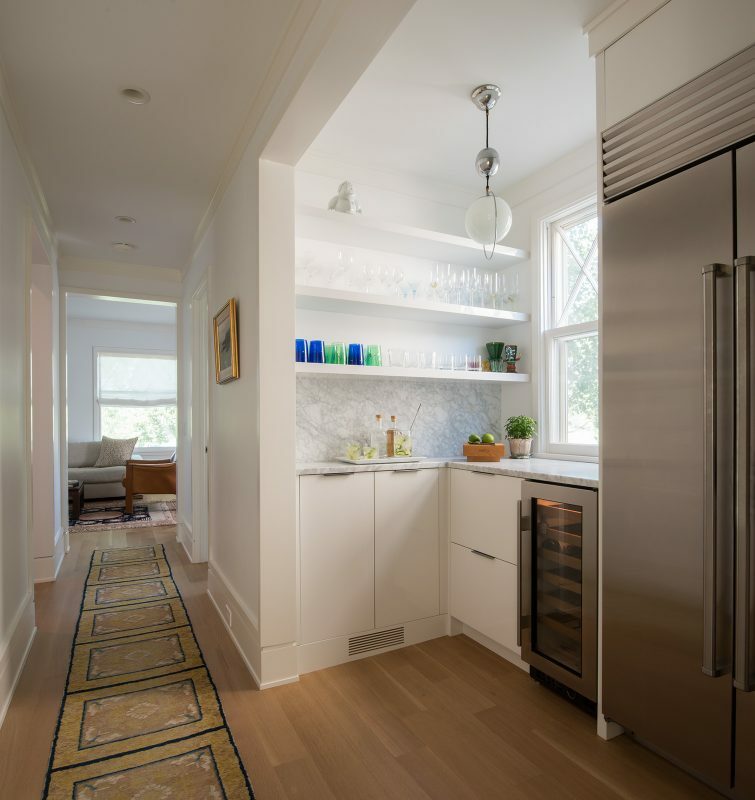 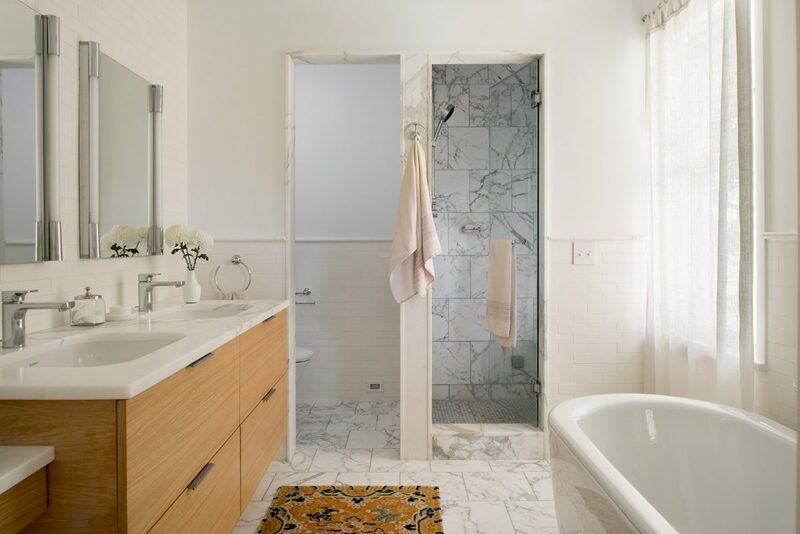 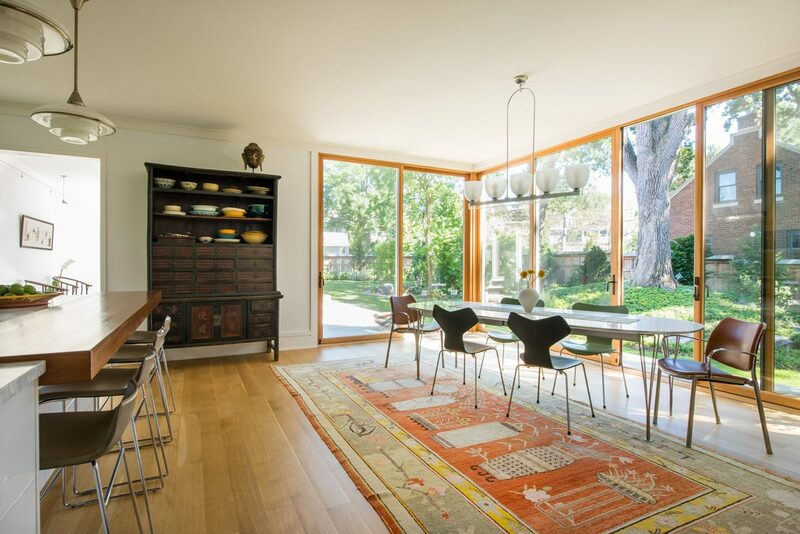 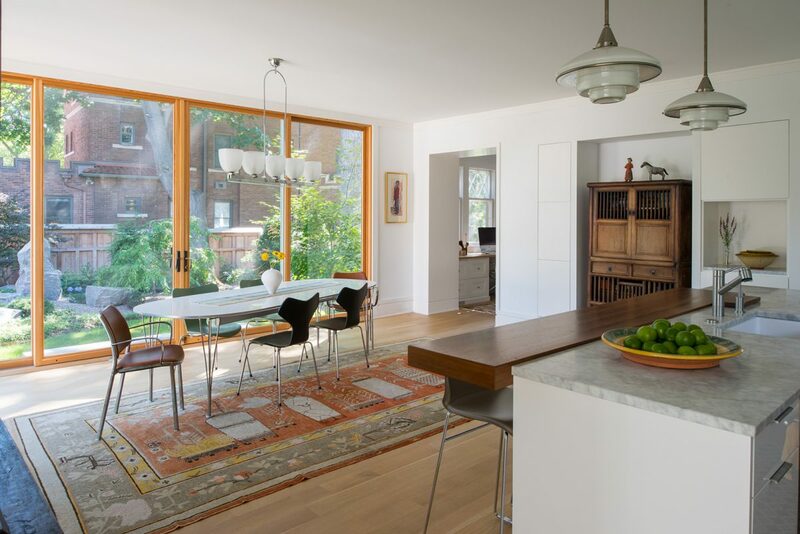 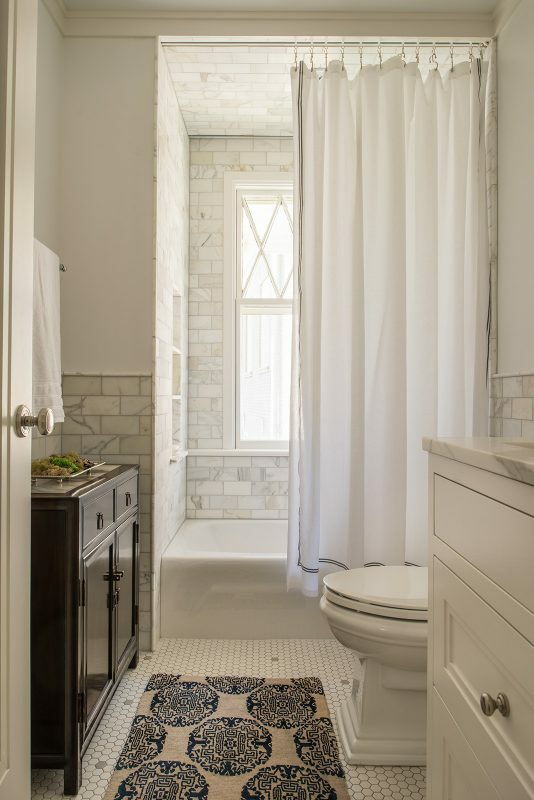 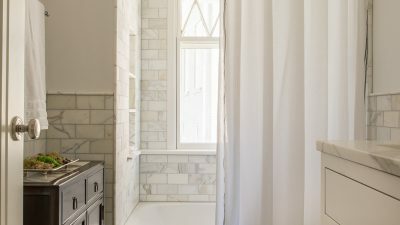 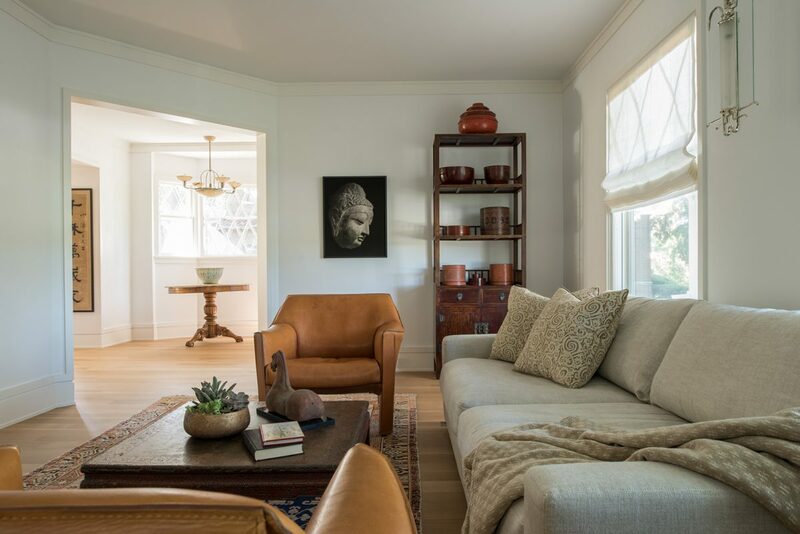 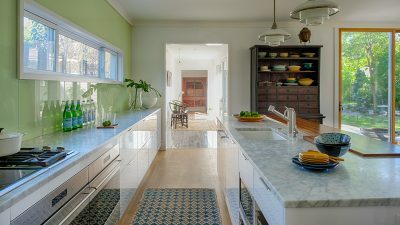 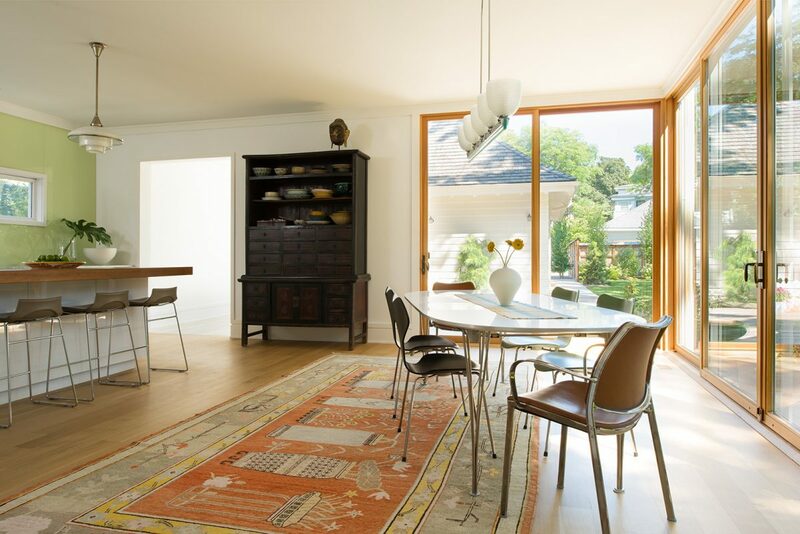 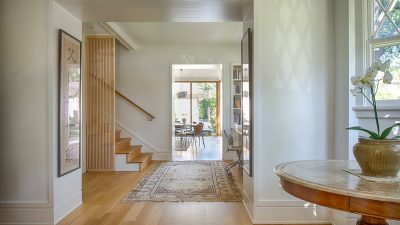 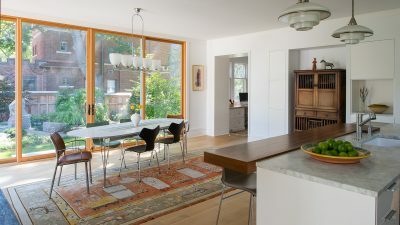 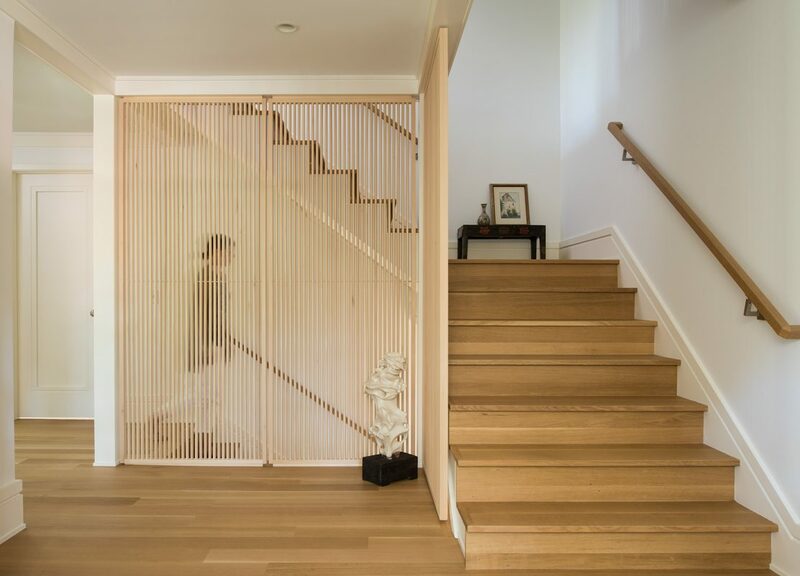 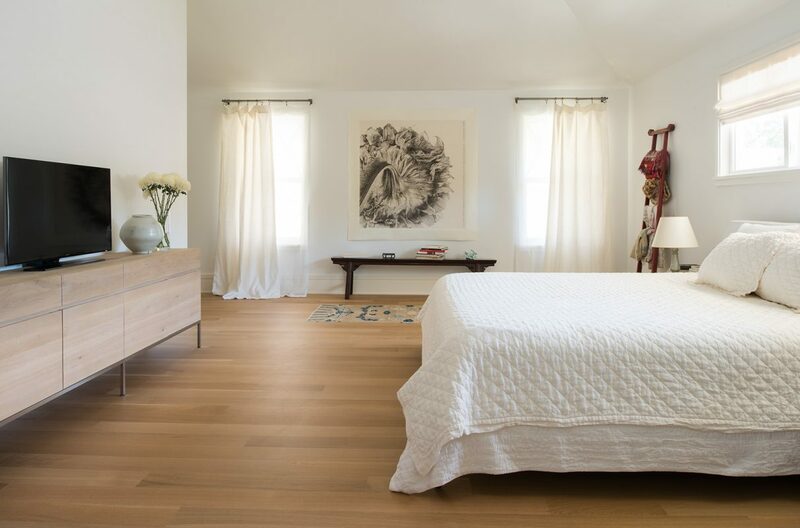 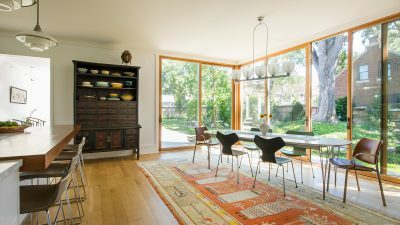 This renovation/addition is sensitive to the historic character of the house, complements the original architect’s zeal for eclecticism, and successfully accommodates a modern family.